J'adore toutes ces tenues ! surtout la 1ere et les trois dernieres ! Loved your layered sequin look and the GORGEOUS pale blue bag! AMAZING! This recap is fantastic, I don't know with outfit is my favourite!! So many fabulous and chic outfits! Love the last outfit - so pretty! Awesome outfits chick, I've been listing after those sequins H&M trousers for weeks! Numer one and five my favorites!!! Mi piace moltissimo il numero 10, quel mi i dress giallo ti sta benissimo. I love the dress in the 3rd one. You look stunning! Great selection dear!!! I love all of them!! Kisses dear and merry holidays!!! I love your outfits of 2014!!! Love the black pumps with glitter tights. Thanks Heather! I shop mostly at Zara,H&M and Mango. All the outfits are so beautiful, great styling as always!!!! These outfits are very nice! I love your style - happy new year! OMG i want glitter pants!!!! You've had some really inspirational outfits this year hun! I love all of your looks, great style! Gorgeous recap lovely. Wishing you all the very best for 2015! Happppppy Happy NEW YEAR Jeanne! Wishin you a super rockin' year! SOOO happy we are friends! LOVE all of your outfits! SOOO rock n' roll and boho cool! 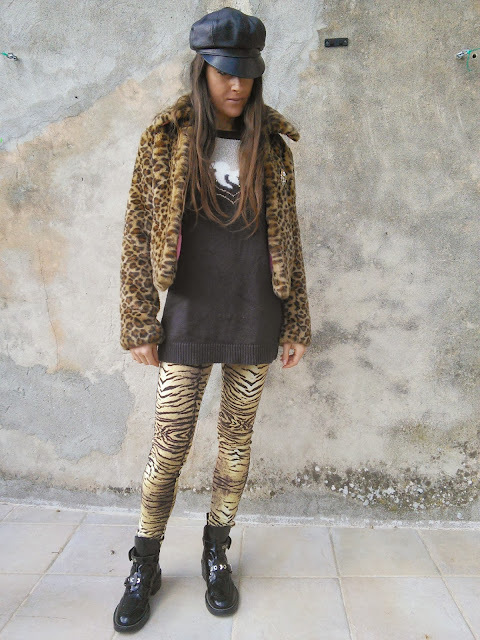 Obsessed with your leopard on leopard look! You have a wonderful sense of style Jeanne, adore all! I keep this post for inspire! Kisses dear and happy holidays! I love the silver skirt!